At Frechette & Associates we hope you never have to be in this situation, but if you do it’s important to know your DWI Rights in New Mexico. Having a DWI charge is not something that people plan for. It is important to know what you should do when you or a family member are investigated or arrested. 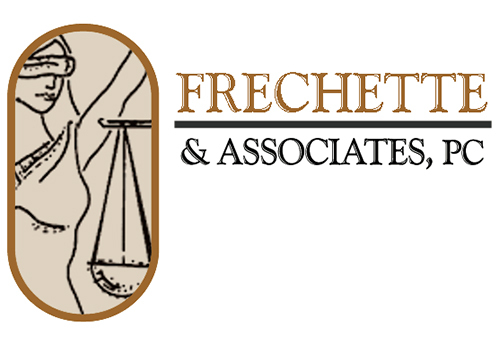 Frechette & Associates will insure you understand your rights in New Mexico. The right to an attorney.. You may politely invoke this right if you are asked questions by the officer. You are obligated to identify yourself and provide an ID if asked. The right to refuse to take the field sobriety tests. The officer may ask you to take their field sobriety tests and you may decline the tests. The officer has the discretion to arrest you, even if you do not submit to these tests. Act a driver is informed that they have given consent to a test of their breath because they hold a NM driver’s license. You may refuse to take the breath or blood test. Depending on how much you have had to drink, it may not be a good idea to take any test. If you decline the test then speak politely to the officer. If you refuse to take the breath test then you will have exposure to mandatory jail time and/or a longer MVD revocation period. The right to remain silent. You do not have to answer any incriminating questions. The right to an independent blood draw. If you take a breath or blood test then you should ask the officer for an independent test which will be paid for by the police agency. If the officer hands you a telephone book to call for a blood or lab technician then tell them you would like to be taken to the nearest 24 hour medical clinic or you would like them to give you the phone number for the police department’s blood draw agency. 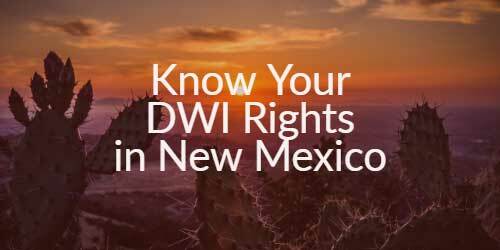 There are other important things to remember during a New Mexico DWI arrest. You will want to do everything you can to ensure that your actions do not give the officer any additional evidence of “impairment”. Don’t make casual conversation with the officer. Anything you say beyond the minimal respectful responses could give the officer more evidence. Officers are trained to ask you distracting questions or to try to carry on conversation if they suspect you’re impaired. Avoid eye contact, if possible. This makes it harder for the officer to testify about your eye condition. Stay calm. Don’t give the officer any reason to to say you are combative or belligerent.